With 5G networks soon to be rolled out, smartphone OEMs are rapidly gearing towards the shift. Mobile operators across the globe are upgrading to 5G networks, which rely on denser arrays of small antennas and the cloud to offer ultra-high data speeds. Meanwhile, OEMs are working towards to equipping handsets with built-in 5G radios to hook up to these networks. The key component of these handsets is the 5G modem chipset, which communicates with access points that connect to the next-generation network. Presently, only a few chipset manufacturers are actively manufacturing 5G modems. These include Qualcomm, Samsung, Huawei, MediaTek, and Intel. Qualcomm is the leading manufacturer of 5G modems. It is the first company to launch a 5G modem chipset – the Snapdragon X50 modem, which offers download speeds of up to 5 Gbps. X50 is part of Qualcomm’s 5G platform, which includes mmWave trans-receivers and power management chips. In its present version, the chip needs to be paired with an LTE modem and processor to truly work in the mixed world of 5G and 4G. Future versions of Qualcomm processors could have an integrated 5G modem. Due to its early launch, Qualcomm has been able to establish essential partnerships with 19 OEM providers, such as Xiaomi and Asus, and 18 network providers, including ZTE and Sierra Wireless, which further strengthens Qualcomm position as the market leader. In an attempt to reduce its reliance on US telecom modem chip providers and overturn Qualcomm as the current market leader of smartphone modems, Samsung launched its very own 5G modem, Exynos 5100, in August 2018. Exynos 5100 offers better download speeds of up to 6 Gbps than the Snapdragon X50’s 5 Gbps. Additionally, Exynos 5100 is a single chipset comprising a modem, RF IC, envelop tracking, and power management IC, unlike the X50. Exynos 5100 also claims to be the industry’s first multi-mode modem that supports 5G NR along with the legacy modes from 2G to 4G LTE, whereas X50 needs to be paired with 4G LTE modem to support 2G to 4G LTE modes. However, new members of the X50 family will support multi-mode 2G/3G/4G/5G functionality in a single chip. Huawei’s Balong 5G01 5G modem offers 2.3 Gbps download speeds. The company expects to launch its 5G smartphones featuring the modem in the second half of 2019 and has decided against licensing its modem to rival phone makers. MediaTek has launched its 5G modem, Helio M70. The market for Helio M70, however, is likely to be companies not opting for Qualcomm’s chip for varying reasons such as high cost and licensing issues. Intel has also launched its 5G modem, XMM 8060. The company has consistently focused on developing chipsets for laptops/PCs. Although its 5G modem is suitable for PCs, phones, as well as connected cars, the XMM 8060 may have a larger market share in PC/connected car applications than in smartphones. Apart from core chip-manufacturers, mobile device makers such as Apple could be moving towards making 5G modems/processors. With Apple’s recent job listings for mmWave engineers and IP publications focused on 5G modem processors, it’s possible that Apple could be building its own hardware in a bid to reduce its reliance on hardware providers such as Qualcomm and Intel. Qualcomm definitely has a solid lead in manufacturing 5G modem chipsets and is most likely to stay dominant for the next few years. However, considering the latest trends suggest that smartphone-makers prefer building their own chipsets, including 5G modems and processors, to reduce cost and dependency on chipset manufacturers. 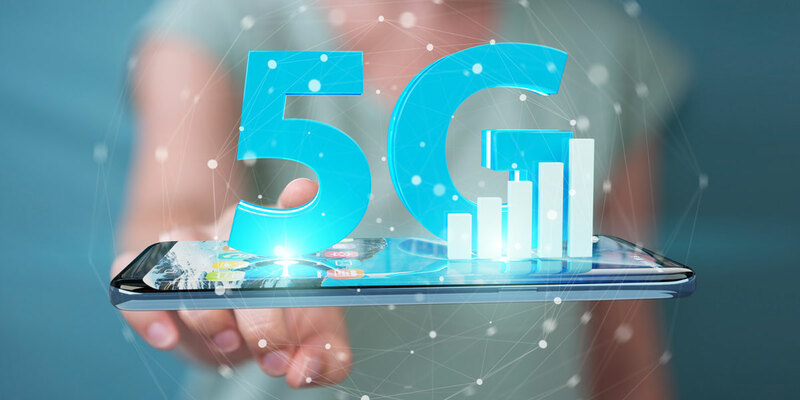 Additionally, the commercial availability of 5G networks and rising demand for 5G services could lead to more 5G modem/processor chipset manufacturers entering the market to cater to the massive need, further stiffening the competition in the 5G market. Netscribes helps technology companies stay agile with continuous market and competitive intelligence, based on primary and desk research and IP analysis. Click here to learn more about our technology intelligence solutions.